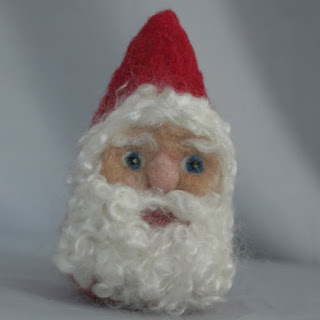 I mentioned the other day a dearth of needle felted projects. 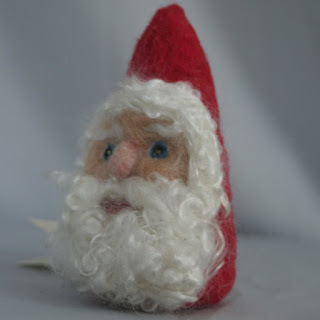 I'm really digging here: this Santa was made back in the fall. I think it's really interesting to see how his expression seems to change depending on the angle of the photo.